Second press brake for CA.TE. On February 26th, friends from CA.TE. of Parma came to visit us for machine pre-test. 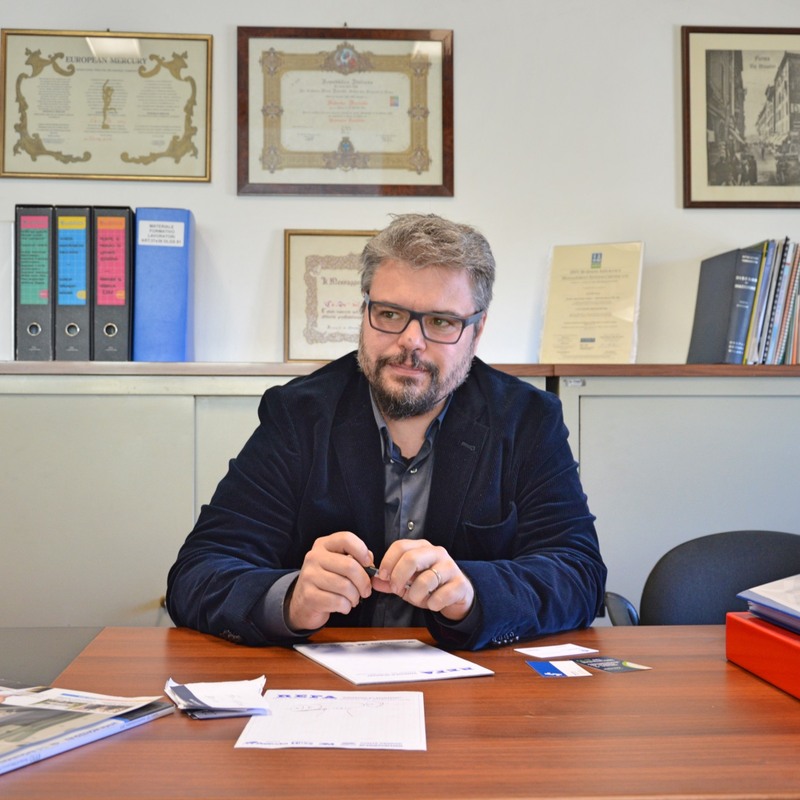 Two years ago we interviewed Marcello Malerba and his colleagues to know better their story and their firm. 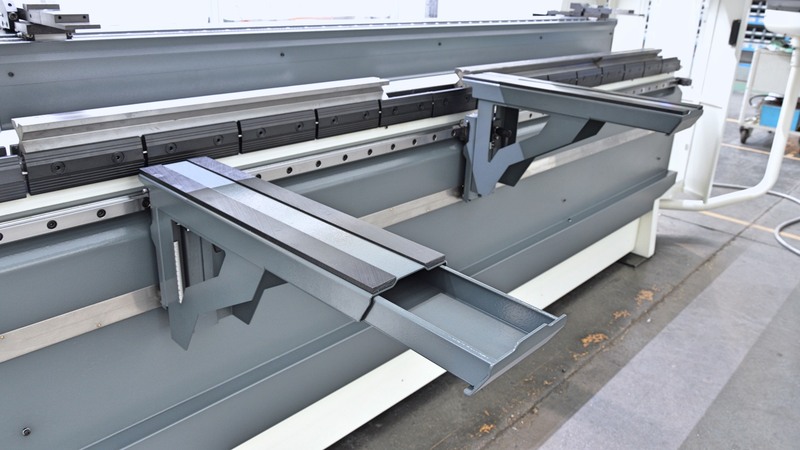 In June 2014 they had bought a 200-ton/4-meter press brake. Now they’re about to receive a second press brake: a 165-tons/4-meters with a good set of options. With respect to 3 years ago, CA.TE. saw an increase in their workload, and as a consequence, their staff grew from 12 to 16 people. Marcello, the owner, invested in a new press brake. This machine will surely help them to become stronger and keep growing. The recipe is the same that kept CA.TE. safe from the turmoil of the economic crisis: investing in the firm and in new technologies, to offer their customers efficiency and quality. Die clamping is air-operated, while punch clamping features the new AirSlide sliding tool adapters with no air pipes. They can be moved along the entire machine length in any configuration. Daylight has been increased to 600 mm, and stroke has been increased to 400 mm, to help them bend bigger parts easily. Backgauge has 4 CNC-controlled axes (X-R-Z1-Z2). Together with the machine, we provided Delem 3D offline software. 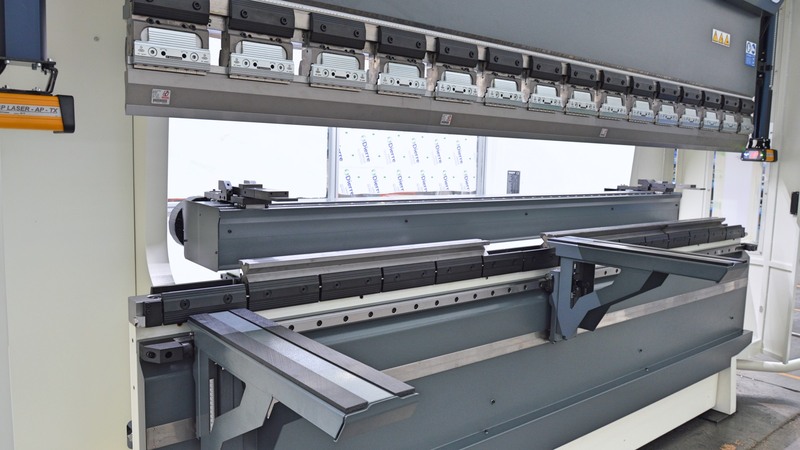 A library of selected tools will be uploaded on both the new and the existing press brake.